Insects generally do not enjoy a great reputation. To many of us, they are unsightly, pests and gives us the creeps. 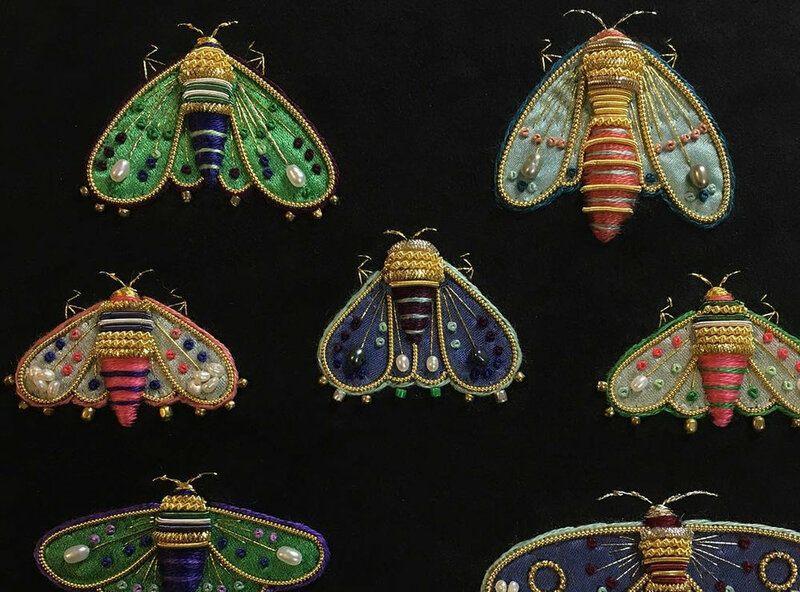 However, we cannot deny that insects are one of the most beautiful groups of creatures in their planet. 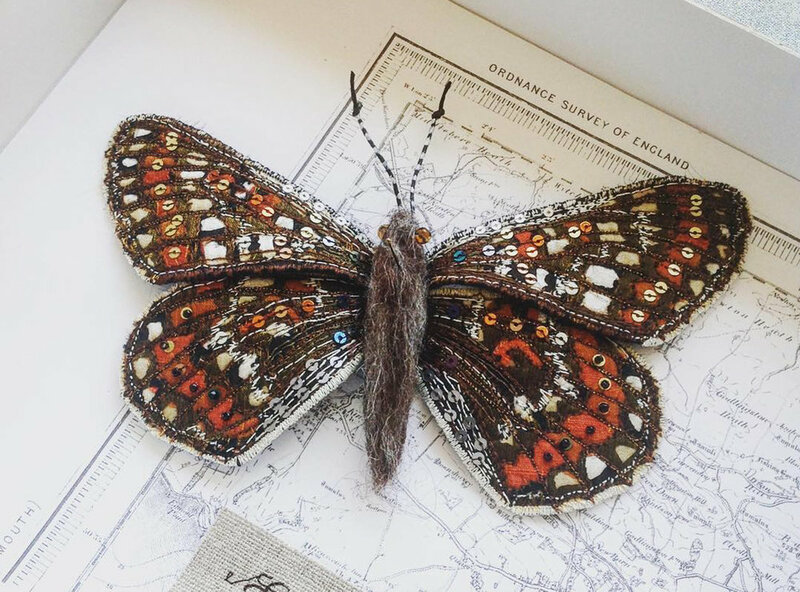 Take for example, the “least disliked” insect, the butterfly, has colourful patterned wings that mimics their surroundings or the beetle with it’s striking metallic colour. 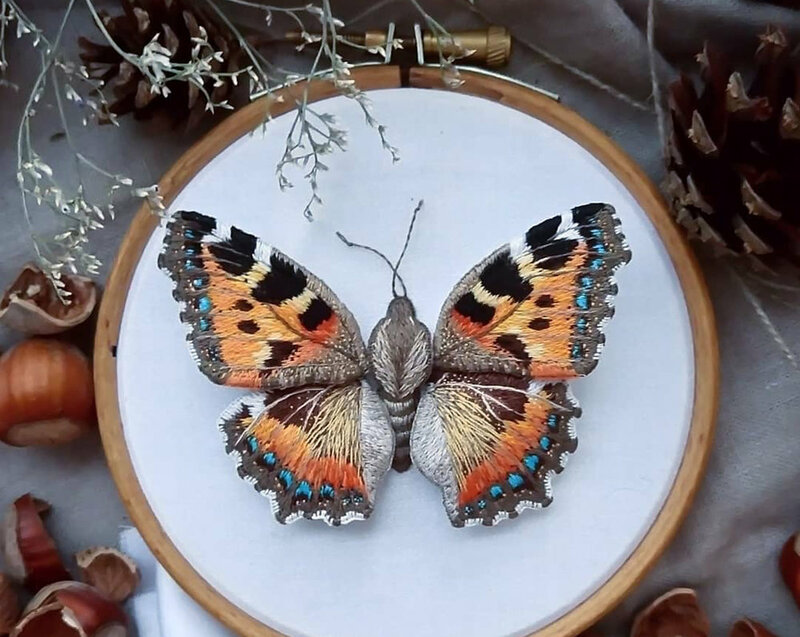 From pests to pretty, we picked out 6 artists who has captured the beauty of the insect kingdom in their delicate and fine embroidered artworks. Scroll further and be in awe!